The California Central Valley is home to some of our most important agricultural endeavors and Rapid Recovery aims to help keep these associated industries thriving and compliant. By providing refrigerant recovery services from Stockton to Modesto to Tracy to Sonora to Fresno and beyond, Rapid Recovery’s Stockton and Central Valley location helps HVAC, mechanical, demolition and environmental contractors meet EPA refrigerant guidelines. Grocery stores, wineries, cold storage facilities, military bases, power plants, commercial buildings–the list goes on and on for constant refrigeration needs. With refrigeration comes the need for timely, high-speed refrigerant recovery. 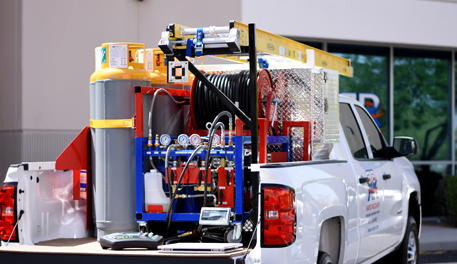 Rapid Recovery’s state-of-the-art gasoline powered recovery machines enable projects to get completed ahead of time and under budget. The fine citizens of the Central Valley want to keep their air clean and Rapid Recovery helps with this process through refrigerant recovery and refrigerant paperwork services documenting each and every pound recovered. Because there is such a need for R-22, we even offer refrigerant delivery to our recovery customers. Contact your local Stockton team today to get a quote on your next project.